From digital therapeutics to virtual care and artificial intelligence, there are a number of novel advancements in healthcare technology offering providers an opportunity to revamp care for the better. But talking about healthcare innovation is easy – it's the deployment and adoption that often trips up larger healthcare providers. 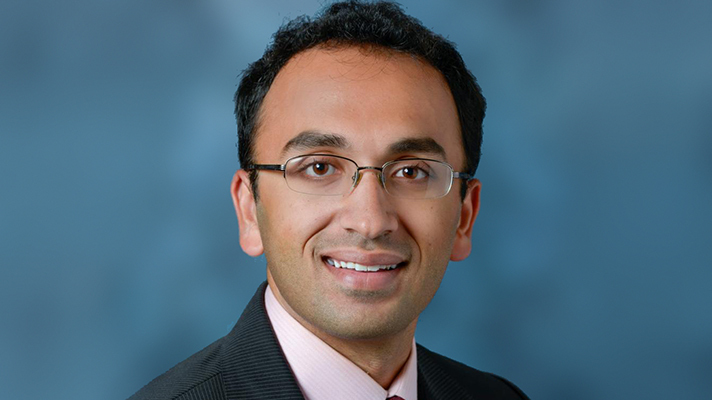 Omkar Kulkarni, Children's Hospital Los Angeles' recently appointed chief innovation officer, will be discussing his thoughts on why many digital health and innovation initiatives lose their footing when deployed across hospitals or other health settings during a panel at next month's Health 2.0 Conference in Santa Clara, California. In addition, he'll also be sharing what he views as the requirements for a successful introduction of digital health technologies in the inpatient setting. "What is needed in successfully deploying these kinds of solutions is a few things," said Kukarni. "One, you need a mandate or a real focus from leadership around what the purpose is with digital technology. This goal is really key – a scattershot approach doesn't really work." Moreover, he said, "having some evangelists in leadership is really helpful, or actually is really needed, to ensure that there is time and energy allotted to making sure these efforts go on. Sometimes they fail, and hospitals (should) have cultures where leadership can recognize that with innovation you don't bat a thousand." While innovation-friendly leadership is a prerequisite, he continued, enthusiasm at the top of an organization is no substitute for physicians and clinical leaders who believe in an innovation and are willing to take the reins. "Have clinicians and providers be as much in the driver seat as possible when deploying innovations," Kulkarni said. Oftentimes, its "a handful of innovation or IT experts, or some folks in administration" pushing for innovation, he explained. "Typically that doesn't work. It helps when you have an … executive passionate about something (but) having that clinician behind some of these innovations really is key to driving success." Speaking to the perspective of a digital health product developer, Kulkarni said that more can be done on the design front to achieve greater user adoption. Specifically, he urged developers to build stronger relationships with care providers to understand how a new offering could best fit their needs and workflows, and with the patient population to learn why they might not be interested in a product. "If you think of the average patients using the American healthcare system and you think of some of the solutions that are created, they're really not being created with the user in mind," he said. "There are many barriers – cultural barriers, technology barriers, language barriers. "We really need to look at getting the perspectives of patients who are really representative of the average US patient," he added. "Only then are we really going to be able to get scale, because ultimately adoption is a really key part of any successful digital health venture."